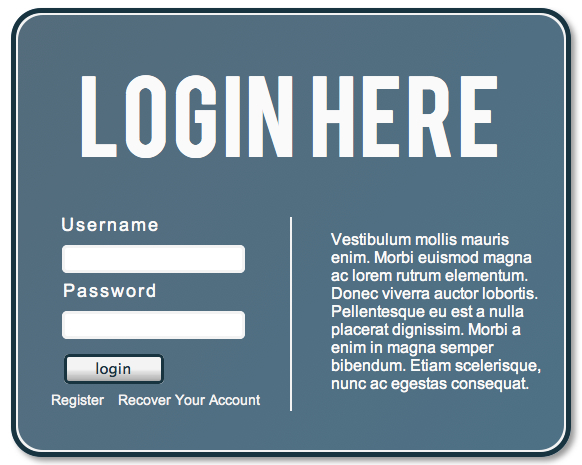 Today i’m going to show you how you can use CSS3 make the login panel shown below. I’m not going to go into to much detail about the code, if you’d like some more information of CSS3 you can look at this article here CSS3 Guide. You can download the source files for it here. Download the source files.